Silver Gifts for all Occasions. A comprehensive range and only the finest quality silver gifts in silver plate and hallmarked sterling silver, handmade in the historical home of silver, Sheffield. Affordably priced World Wide shipping is also available at the checkout. 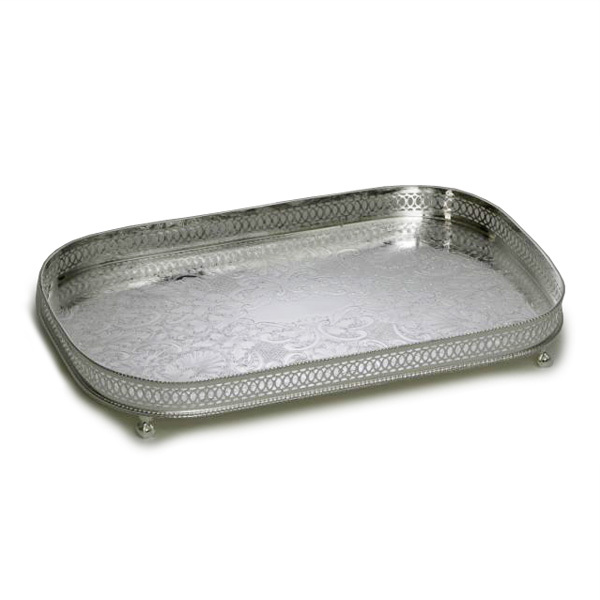 A large silver plated tray for example, will cost around $50.00 to ship to the USA making it a bargain compared to buyng the equivalent at home and there is no import duty on orders under $800 Click here for more details. The Sheffield Silverware Company’s reputation is based on providing efficient and friendly service and offering a policy of total customer satisfaction. However, in the unlikely event that you are not entirely delighted with your silver giftware, simply return the item unused in its original packing and we guarantee to provide a full refund. The Sheffield Silverware Company has the ideal silver gift in either sterling silver or silver plate for you; whether you are looking for yourself or to purchase a gift for a loved one, our unique pieces will stand the test of time in their style and durability, bringing years of enjoyment to the owner. Highly skilled silversmiths have lovingly created each piece in our range, made up of drinks accessories, pieces for the home, and gift items perfect for every occasion. These include silver gifts for him, silver gifts for her and the ideal presents for Weddings Silver Weddings, Christenings and any occasion. We have a range of quality bar gifts including quality Pewter Tankards silver claret jugs, silver cocktail shakers, silver decanters, silver wine coolers and wine bottle coasters. For the home or office our silver paper knives make a superb and affordable gift. Take a look at our silver candle holders and candlesticks and if you are looking for silver picture frames we have a variety of shapes and sizes. Our unique range of silver trays is our speciality and for presentations our silver salvers are ideal for engraving. 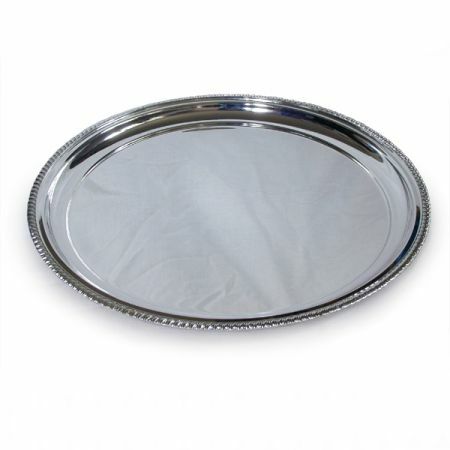 For those really special family occasions we have the perfect silver christening gifts and our silver wedding cake stands can also be used as a table plateau. You may wish to have your special gift engraved using our expert silver engraving service and you can easily add this to your order when purchasing. Just to confirm that I have today received the silver salver with italic R and I am very pleased with it. I would like to thank you for your care and service in this matter - it could not have been bettered. I would certainly recommend you to any of my friends and family. I just wanted to drop you a quick note to say thank you very much for the excellent work you did on our order. We held the presentations today, and both Dr......... and D....... S....... loved their engraved trays. We shall be keeping your details on file for future reference, and would happily recommend your company. Thank you once again for an excellent and efficient service. We have an exclusive collection of Antique Silver and Old Sheffield Plate for sale. We buy good quality pieces of Sterling silver, damaged or scrap silver and good quality Silver plate at the best price. We also provide an expert silverware repair and replating service for those old and antique silverware pieces which need some care and attention to bring them back to their original lustre. Click here to find out more if some of your special items are in need of some TLC. If you would like to visit us and see the range in person, then please contact us to make an appointment. If you have any other query then please do not hesitate to get in touch and we will be pleased to assist. We are proud to supply our engraved silver gifts to renowned corporate and institutional customers.